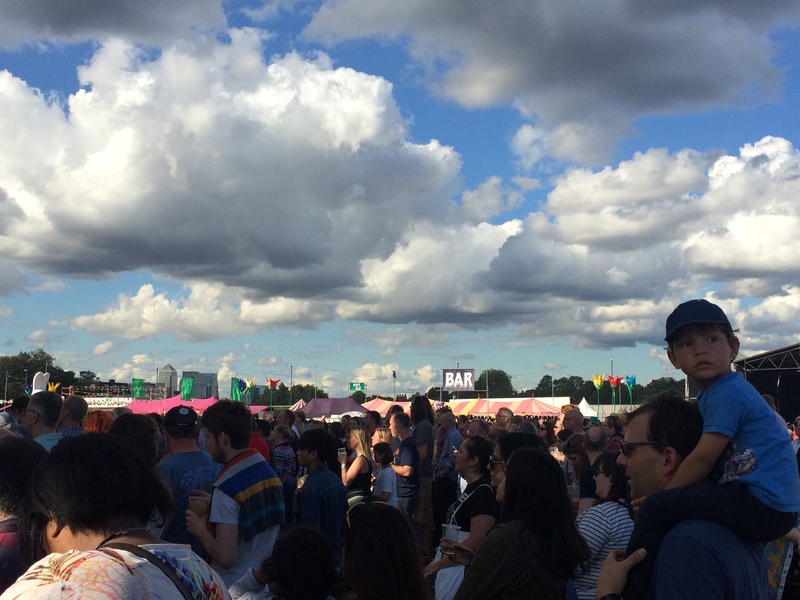 With considerably less fanfare than last year, OnBlackheath returned for its second outing last weekend (12/13th) and, perhaps with some inevitable exceptions, a good time seems to have been had by all. First impressions of this year’s festival were favourable. Compared to last year there were more, and much better, food offerings; the venue was better organised; and, though not experts on the matter, the entertainment for kiddies seemed even more fun and well thought out (including a branch of Waterstones dedicated to books for the nippers). That said, on Saturday especially, the queues for food were at times huge and it was nigh-on impossible to get a drink from the Meantime trucks (the only serving ale) meaning your Radicals had to spend most of the first evening supping the London Lager – more easily available from the large beer tents – but flat and dull after a while. Sunday was much better. Back to the main stage, or should that be back stage of the main stage as, yes, the Radicals this year had ‘press passes’ which meant we could roam freely behind the scenes. Can you imagine – this is what constitutes journalism these days…But before anyone asks (oh, actually, a popular local pressure group already has…) we paid for our tickets for the event and the passes got us nothing but access to the behind the scenes operation; so no favours offered and none gained. Truth be told it was all rather strange backstage; nobody quite seemed to know where we could and couldn’t go and in all honesty it was not natural territory for the Revolt. 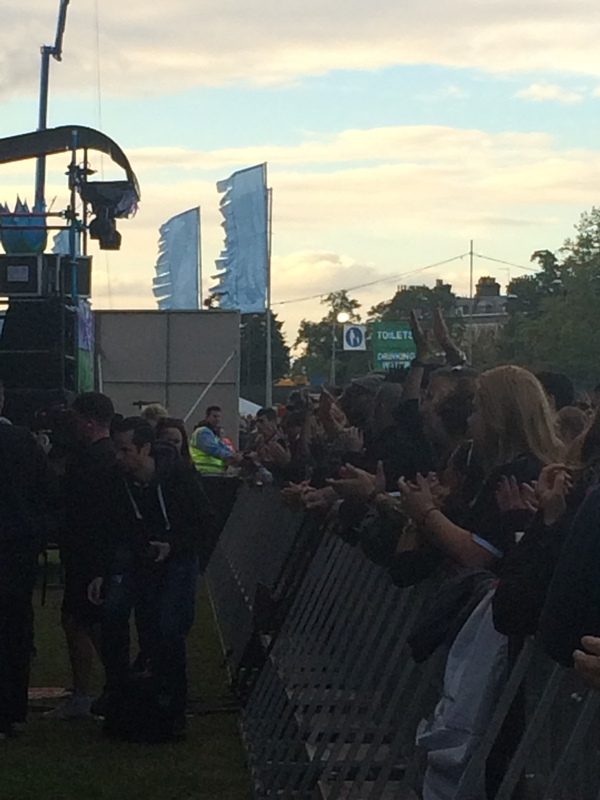 That said, we persevered for the sake of reporting, and it was a lot of fun really – the view from front of stage left was, in particular, quite excellent. 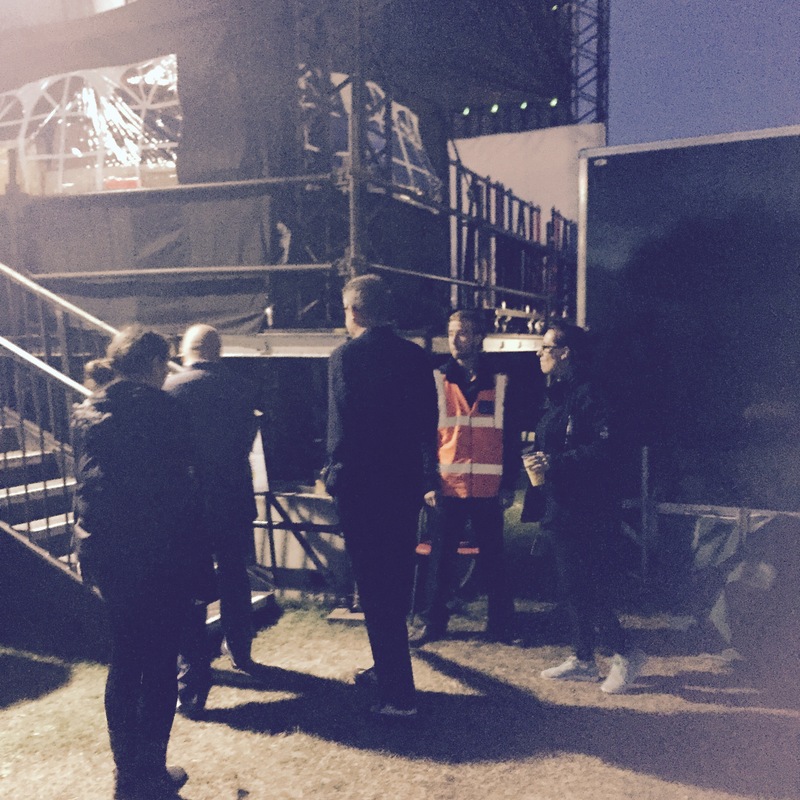 And we managed one or two backstage ‘paps’ of some of the stars. 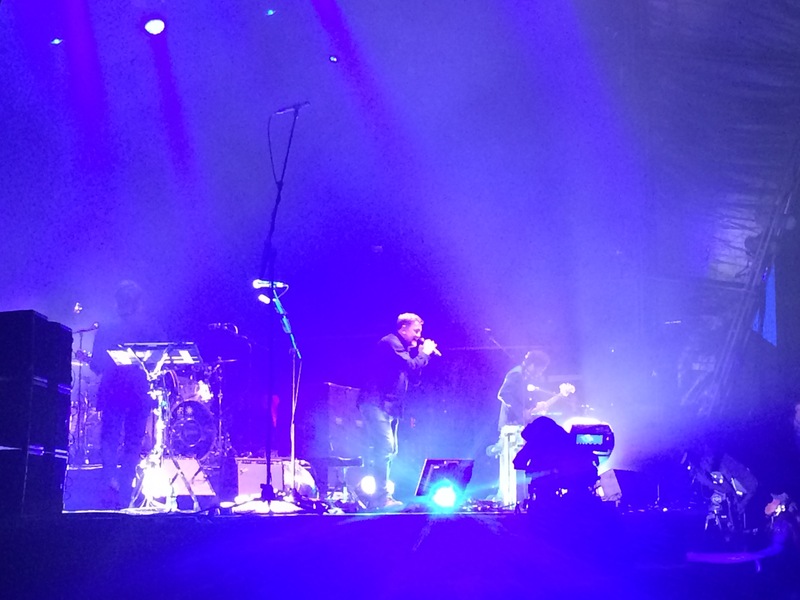 Saturday was headlined by Elbow, whom a barman has earlier described to us as being ‘those guys that did the Olympics’, which didn’t help much really. They had their moments and the crowd seemed to really get in to some of the songs. 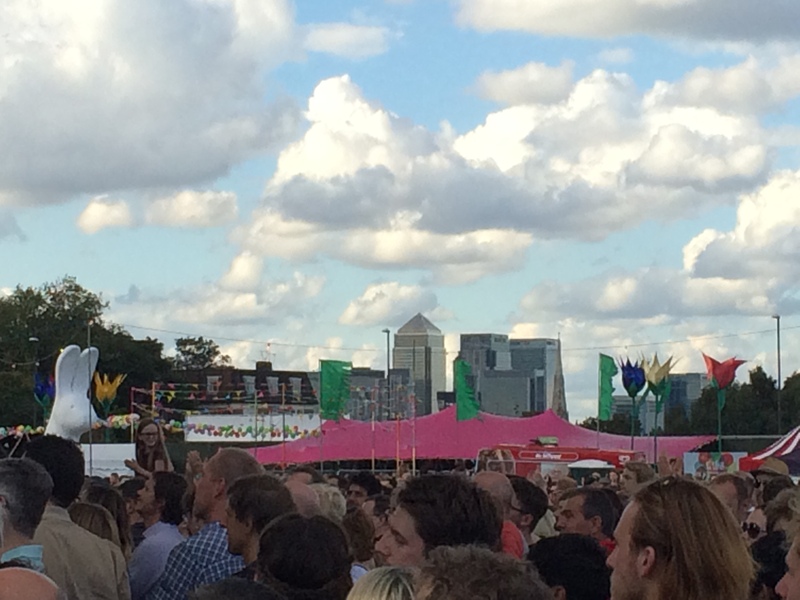 For us the highlight was the lead singer’s attempt at rhyming-slang, pairing ‘OnBlackheath’ with ‘Penelope Keith’. Te he he. Before them, the Manic Street Preachers were really rather good, belting out track after track and genuinely seeming to enjoy it all. Finally, to finish of proceedings, and to the delight of the many fez wearers in the crowd, we had a bit of Madness. 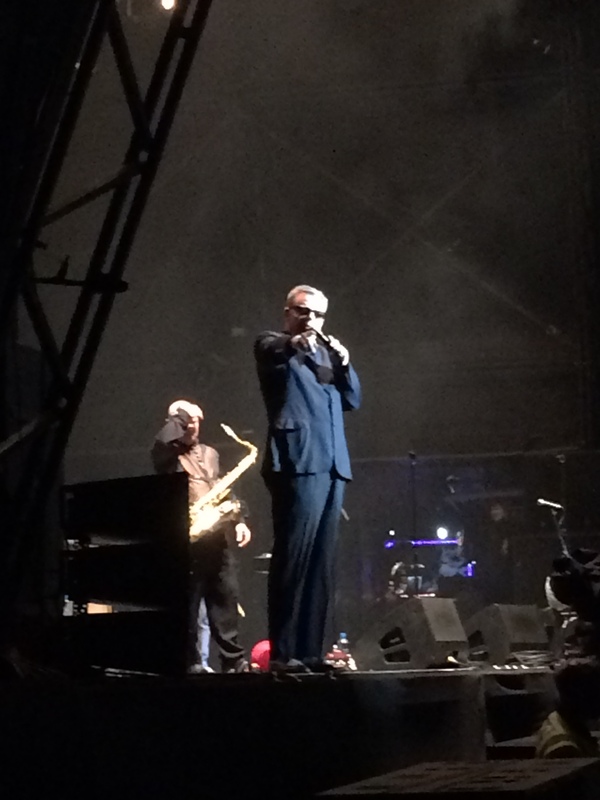 Now, even we had heard of Madness and, though not being fans, rather enjoyed the set. Almost as entertaining was the Twitter banter on local-Madness related puns, such as ‘Quaggy Trousers’ and ‘Our house in the middle of our heath’…yeah, you had to be there. – a discussion of the location of bus stops (especially outside the Railway) and street clutter more generally. See you all next week. 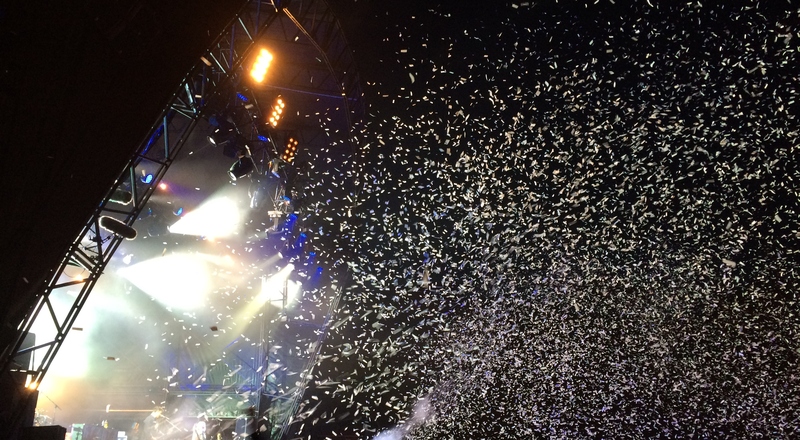 Oh, and look out for our post on this year’s OnBlackheath Festival. 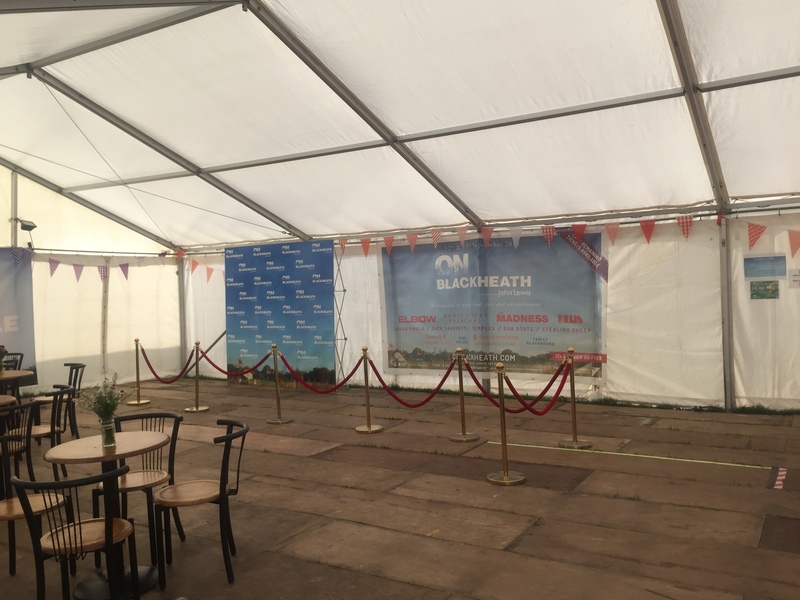 This post comes to you live from backstage at the OnBlackheath festival, Sunday afternoon as the crowd braces for itself for headline act Madness (don’t worry Blackheath Society it’s not really madness on the Heath…). 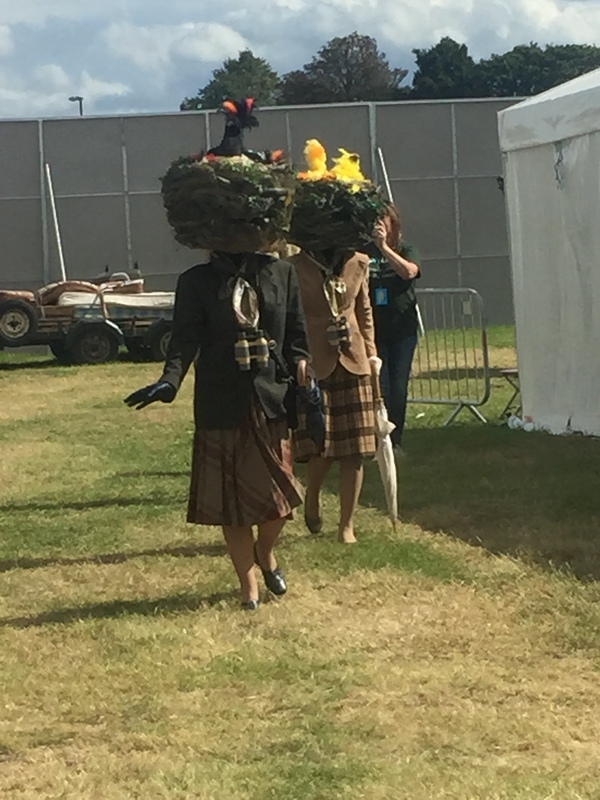 – OnBlackheath: views, experiences (including Blackheath Society’s survey) and the very best unique festival photographs! – what is happening with the empty units at the station? And how about sushi-gate? 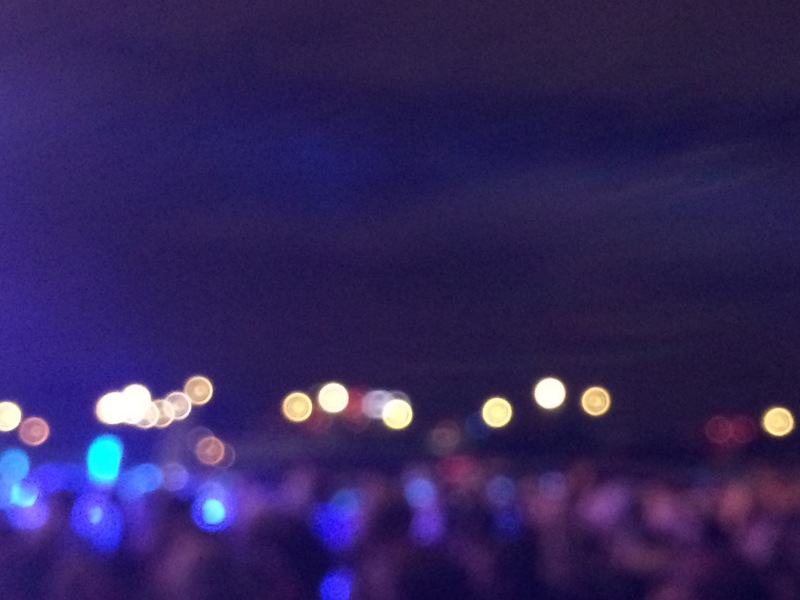 – who’s looking forward to the Blackheath fireworks? – and other fascinating local issues. We will be hosting from a venue – LIVE – dans le village (hint hint).